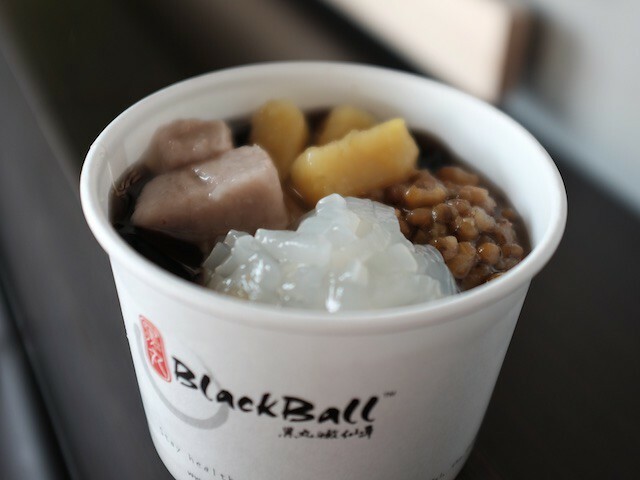 Blackball is one of the many Chinese-style dessert shops opening up in the SGV. 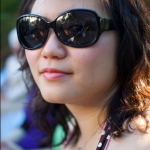 It replaces the now defunct Hong Kong dessert shop formerly known as Benser Tasty. 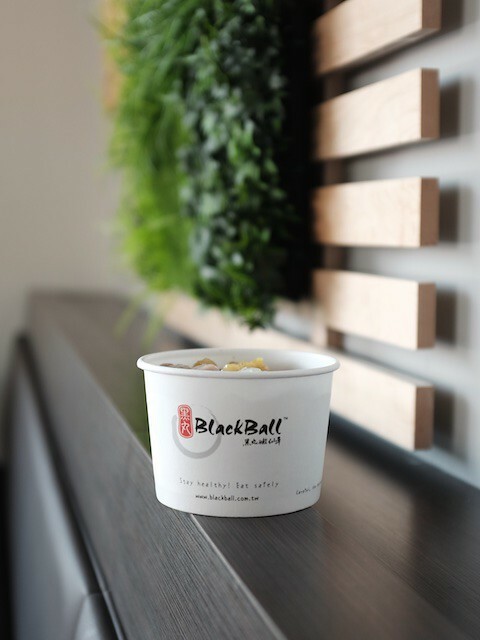 Blackball specializes in house-made grass jelly. If the term ‘grass jelly’ scares you, don’t go running yet. Blackball makes the scary black gelatinous dessert palatable with a bunch of add-ins. Green bean, red bean, konnyaku jelly, chewy sweet potato, chewy taro, and cream. The combinations are endless. On a hot summer day, I really wanted the cooling properties of grass jelly, so I ordered up a bowl of it with green bean, konnyaku, and the chewy pillows of sweet potato and taro. They’re like gnocchi’s sweet, denser cousins. Unlike the grass jelly that plops out of a can, the jelly here is softer in consistency and not as herbal. The sweetness of the other toppings do a good job of balancing out the grass jelly, so good in fact that I felt like I was eating an actual dessert instead of something mildly healthy. While I’m sad that Benser’s mango and black rice dessert is now just a distant memory, I’m glad that a worthy dessert shop has taken its place. The heat-lowering qualities of the grass jelly will probably entice a few diners exiting Boiling Point with fire in their bellies across the parking lot.